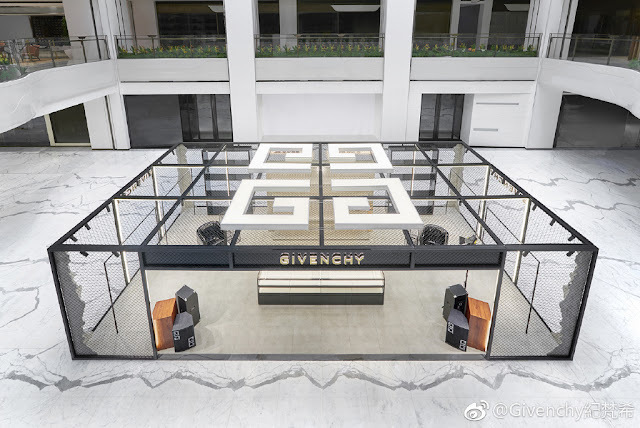 The Givenchy pop-up boutique opened at SKP mall in Beijing, and who better to stop by than the stars of the recent hit drama Story of Yanxi Palace. 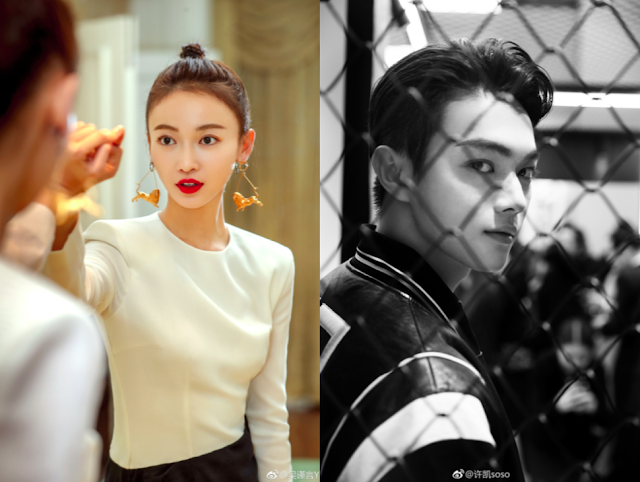 Xu Kai may have been the self-sacrificing second lead who gave everything to the woman that he loves, but he along with leading lady Wu Jinyan have gained a lot in real life. Both seem to be riding the tide of success and becoming more and more visible in the public eye. Wu Jinyan was making pit stops at New York Fashion Week just days ago! I guess that's just the industry for you. One big break is all you really need sometimes, and now that they've conquered that hurdle, I'd be excited to see whether the two rising stars will turn it into a streak. Both are very good looking! Really enjoy seeing the new faces, and hope that they will get better and better projects. 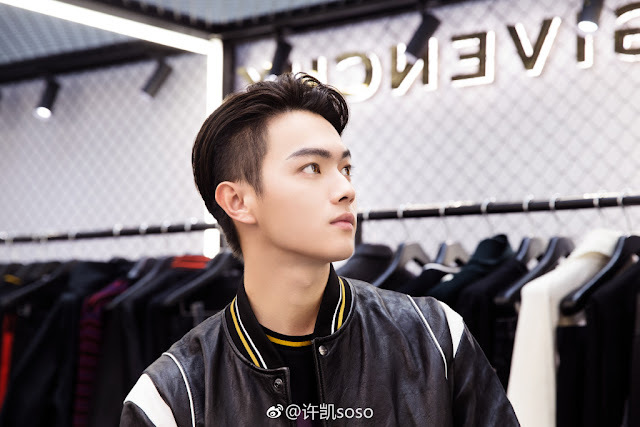 Wu Jinyan looks like she has had too much plastic surgery, like she shaved too much of her jaw line off to get that V-shape face that a lot of celebrities are going for. But she did too much and now her entire face looks disproportionate. As long as she can prove her childhood photos not to be some big giant WIDE face demon, and double chin-less person... and suddenly turn into a LONG face person with sharp chin, she's off the hook with PS. But even if she has PS, so are each and every single actress today. They all have PS done too. So WJY can become the new PS actress with top acting skills compared to all the other skill-less PS actresses. Hahahaha @ Anonymous 2.a comment! She looks the same as she did in her old dance school photos. Her face is actually in proportion to her body, she’s very tiny. Damn..that boy is good looking. I want his face as my own face, his features are so pretty.